Over the last few months, Belarusian President Alexander Lukashenka has made a number of high-level appointments that indicate “Belarusianisation” of the government. A number of new military chiefs never studied at Russian military schools in contrast to most of their peers. Certain candidates known to speak Belarusian on a daily basis also received positions, for example the rector for Mahilioŭ State University (Lukashenka’s alma mater), the Information Minister and the Deputy Foreign Minister. This policy is intended to strengthen the country’s independence and national identity. It differs from Lukashenka’s traditional approach to policy insofar that it is not purely statist and adds a cultural element to Belarusian nation-building. On 18 July, President Lukashenka appointed Alieh Dvihalioŭ to be the Chairman of the State Military-Industrial Committee. Until then he was the commander of the Air Force and Air Defense of the Armed Forces of Belarus. 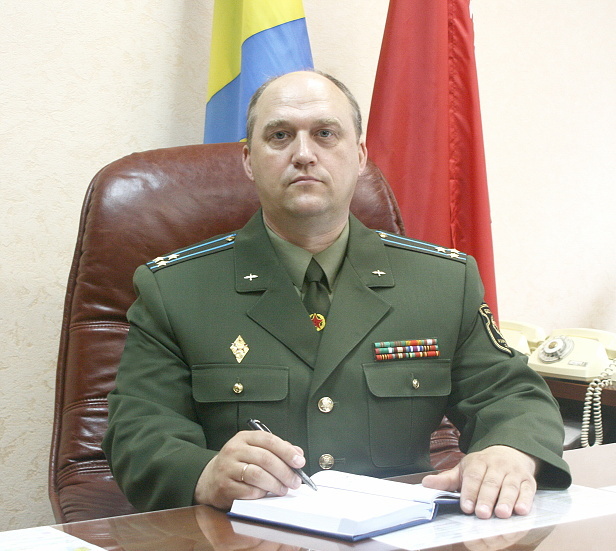 Like his predecessor Siarhiej Hurulioŭ and many other high-rank Belarusian siloviki, personnel who oversee state security and power ministries, he was born in Russia. But unlike most of them, he received his full military education and pursued his career in Belarus. According to military establishment sources for Naša Niva, a Belarusian newspaper, Alieh Dvihalioŭ casts the impression of being an “intellectual,” a “patriot,” and an “expert in military equipment.” According to the Belarusian military expert Aliaksandr Aliesin, he is a competent manager and technical expert. By his appointment, the leadership is expressing their view that the military-industrial sector needs modern managers, rather than regular military men at the top. The 49-year old Ihar Holub, who is Dvihalioŭ’s former deputy, replaced Dvihalioŭ as commander of the Air Force and Air Defense. Holub, too, appears to be part of the new wave of officers. He was born in Ukraine and has also never studied in Russia. This serves as further evidence that Lukashenka is pursuing a policy of removing Russia-affiliated siloviki from high positions and replacing them with those loyal to Belarus’s independence. The Belarusian leader seems to have taken notice of Ukraine’s predicament, whereby many high-level officers turned out to be Russian agents after the ousting of Yanukovych. Along with this trend, special and military services saw a number of shakeups after abuses were revealed to the president. On 13 October, Lukashenka removed all acting heads for the Operations and Analysis Centre—the government agency responsible for information security—until an audit of its practices had been completed. The nature of their offences has yet to be revealed. At the same time, a number of military officers are under criminal investigation after outrageous acts of hazing led to the death of a soldier in a Minsk region military unit. New officer appointments may follow as more facts of army hazing emerge. The new rector is not respected within civil society. During his tenure, purges of dissenting academics continued unabated at Hrodna University. He came from a peripheral university, did not demonstrate any high achievements as a prominent scholar or manager. On the other hand, he does seem to have a knack for carrying out decisions issued from higher-up. Another notable appointment came to Lukashenka’s own alma mater—Mahilioŭ State University. The position of University Rector was granted to Dzianis Duk, a 40-year-old historian and archaeologist and previous vice-rector of Polack State University. The appointment of Aliaksandr Karliukievič as the new Information Minister on 28 September continued this trend of Belarusianisation within the establishment. Karliukievič worked as deputy information minister this past year, and before that he headed the Literature and Art state holding (2006-2011) and the newspaper and publishing house Zviazda (2011-2016). Although he has always been on the official side of the cultural community, he represents a definitively patriotic part of the establishment, which is clear from speeches he has made on TV. Last but not least, he always speaks Belarusian in the media. This August, Andrej Dapkiunas was appointed Deputy Minister of Foreign Affairs. Prior to that, he served as Permanent Representative of Belarus to the United Nations, and was replaced by another Deputy Foreign Minister Valiancin Rybakoŭ. Dapkiunas has remained a little known, but interesting personality in the Belarusian government. He shares kinship with the great 20th century Belarusian poet, Janka Kupala, and his parents were high-level cultural officials in Soviet Belarus. In 2011, Lukashenka recalled the diplomat from New York. The authorities suspected him of having links with opposition presidential candidate Andrej Sannikaŭ. Allegedly, Dapkiunas’s embassy colleagues had tipped Belarusian authorities off. He had to undergo interrogation at the KGB headquarters in Minsk, but managed to prove his innocence and returned to New York. At his first speech before parliament this October, Dapkiunas persistently spoke Belarusian, even when deputies asked him questions in Russian. This behaviour has seldom taken place in parliament—if ever at all. However, former Belarusian diplomat Igar Gubarevich told Belarus Digest that Dapkiunas’s high professionalism might also have been a strong contributor to his appointment, while his position on Belarusian language use played a more minor role. 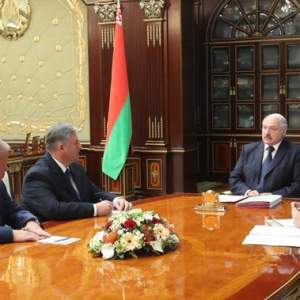 The above mentioned appointments in military, information, education and foreign affairs ministries indicate that Lukashenka is pursuing a firm strategy of Belarusianisation of the government. The strategy is intended to strengthen the country’s independence. What differs it from his previous policies is an emphasis not on a statist, but rather on a cultural approach to nation-building. Therefore, this could become a major shift in the shaping of Belarusian statehood. Detained people at the Minsk edge day, lined by the police, 14 October. Screenshot from a Belsat video. On 14 October, a squad of masked riot policemen raided an antifascist concert in Minsk, detaining dozens of people, and reportedly beating some of them. This incident, among several others, demonstrated a relatively new trend in Belarusian domestic politics. For several months now, the authorities have been steadily expanding the range of targeted and discrete repressions against media, civil society and political opposition groups. At the same time, they carefully calibrate the pressure, so that it does no harm to Belarus and the West improving relations. The government is also working on new legislation that can tighten their control over freedoms of speech and assembly. Taken together, these practical and legal developments test the limits of EU patience. So far, the test results seem to satisfy Minsk. Between August 2015 and March 2017, Belarusian authorities notably softened their treatment of political opposition. Fines for protests replaced detentions and administrative arrests. These soft practices followed the release of political prisoners—Mikalai Statkevich, Yuri Rubtsou and four anarchists—and were meant to contribute to a positive atmosphere for dialog with the West. These softer practicies were a self-imposed restriction, a political offering on Minsk’s behalf. Historically, the West has resorted to meaningful pressure only after politically motivated criminal trials, brutal crackdowns on street rallies, or election manipulations, but not after the occasional administrative persecution of protest leaders. The Belarusian authorities’ reaction to the 2017 spring social protests only highlighted this rule. 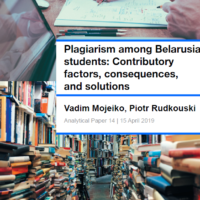 In the following months, power ministries, or siloviki, in fact tested the boundaries of what was allowed by the logic of Belarus-West engagement. It appeared that the EU started to push on Minsk diplomatically when the arrests were large-scale and indiscriminate during the spring protests and when the media became filled with frightening pictures of street crackdowns on 25 March. Putting people into prison under dubious criminal charges (the White legion case, for example) also made the West voice its concern. Minsk learnt its lesson. Firstly, the authorities released both those convicted under White Legion and independent trade union cases. However, none of the convicts’ charges were dropped. Secondly, the police refrained from demonstrations of power on the streets. To be fair, opposition has also failed to organise spring style protests in a way that would require a harsh crackdown. To the degree they did not to impede diplomats’ work, the siloviki have returned to targeted repression and even intensified them in the recent months. Administrative arrests (up to 15 days) have clearly come back to the arsenal of the authorities. However, the police almost never detain activists during or immediately after a given rally; the media must not get “tasty” pictures. The police implement court orders to arrest opponents at the time of their, the police’s, tactical convenience. It often happens on the eve of the next announced protest. Currently several activists, like Pavel Seviarynets and Maksim Viniarski, are serving arrests for past demonstrations. The timings of their arrests, though, were evidently picked to prevent them from attending an upcoming rally on 21 October. A protest leader such as Mikalai Statkevich always has an arrest or two “in stock,” so the police may come for him at anytime. Since this past spring, the authorities have intensified their pressure on journalists from Belsat, an oppositional satellite TV-channel, broadcasting from and launched by Warsaw. Working without accreditation, which the Ministry of Foreign Affairs refuses to grant them, Belsat reporters have been getting fines (between $200 to $600) since 2014 for the “illegal production of media material.” This year, however, there have been an outstanding number of fines. Source: Belarusian Association of Journalists. This crackdown partly owes to the increased pragmatism of the current Polish right-wing government and its particular efforts for better relations with Minsk. The Polish Sejm was the first EU parliament to engage in official contacts with the Belarusian House of Representatives in 2016, even before an opposition party got a seat. According to some reports, Warsaw diplomats even privately proposed ending support to Belsat in return for a Polish cultural TV-channel gaining access to Belarusian cable networks. The Belarusian authorities seem to have concluded their pressure on Belsat would not damage relations. They appear to be right. On a completely different front, the Justice Ministry launched re-attestations of lawyers. On 14 September, the ministry revoked the licence of Hanna Bakhtsina, a barrister who has defended numerous political activists. Decisions on several other lawyers are expected soon. The police have also returned to a practice that seemed almost forgotten—raids on civil society group gatherings. On 26 September, secret services raided the apartments of several Belarusian anarchists and environmentalists. On 9 October, police disrupted a lecture by Russian anarchist writer Piotr Riabov in Hrodna. 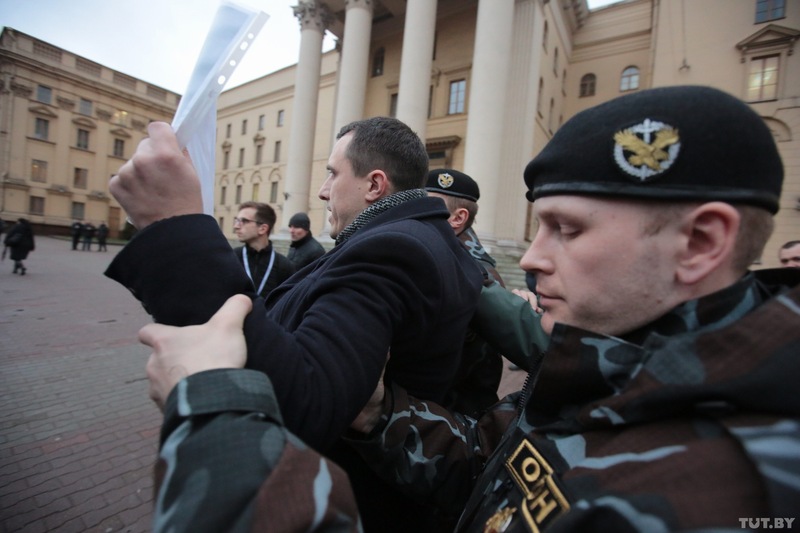 Riabov was arrested for six days for “swearing in public” and eventually deported from Belarus. On 14 October, masked police officers raided the “Minsk Edge Day 2017” concert, detaining musicians and members of the audience, apparently for their affiliations with anti-fascist groups. Some of those detained reported beatings. Recently, the government put forward two new legislative initiatives that can potentially deteriorate the human rights situation in Belarus. One of them, the draft law amending the public assembly regulations, was published at the beginning of October. The document will remove the need to seek permission for a rally in several assigned districts of every town and city. This alone seems like incremental liberalisation. At the same time, the amendments will expand the power of local authorities to refuse applications for rallies from previously convicted individuals, meaning from almost every opposition leader. The draft also outlaws any public announcements of unauthorised protests. Russia’s authorities constantly use the same provision in their law to preventively arrest activists. The second initiative is the brainchild of the new Information Minister, Aliaxander Karliukevich. On 7 October, he proposed to regulate social networks with additions to law on media. His promises to not infringe upon freedom of speech with these amendments encourage little optimism. The future of Belarusian domestic politics to some degree depends on how the West will react to these legal novelties. Were they to pass through without a setback in relations or any preceding diplomatic pressure, Minsk will see law making as another safe polygon for future restrictions and experiments. The correlation between the current phase of Minsk-West relations and the political climate within Belarus has always been one of conventional wisdom. Times of good relations with the EU have traditionally meant less domestic repression. In its turn, a thaw that gave more space for oppositional activity in some cases would lead to more protests. The protests would subsequently cause a new crackdown and a new conflict with the West. The story would then repeat itself. 2017 may become a year that defies this cycle. Belarusian authorities have apparently found a way to combine both improving relations with Brussels while at the same time retaining targeted repression, which are finely tuned below Western radars. The more Brussels’ pragmatism towards Minsk starts to look irreversible, the more Belarusian authorities gain confidence and clarity in how many things they can do without breaking the glass ceiling of EU patience.